The modern materialist approach to life has conspicuously failed to explain such central mind-related features of our world as consciousness, intentionality, meaning, and value. This failure to account for something so integral to nature as mind, argues philosopher Thomas Nagel, is a major problem, threatening to unravel the entire naturalistic world picture, extending to biology, evolutionary theory, and cosmology. 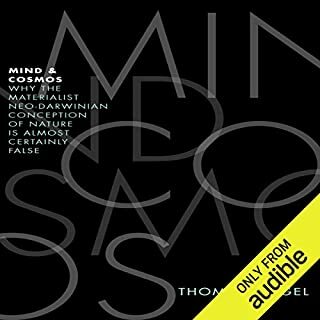 Since minds are features of biological systems that have developed through evolution, the standard materialist version of evolutionary biology is fundamentally incomplete. Pursuit of Truth by W. V. Quine is a classic of modern philosophy, the summation of one of the 20th century's greatest philosophers. The pursuit of truth is a quest that links observation, theory, and the world. Various faulty efforts to forge such links have led to much intellectual confusion. Quine's efforts to get beyond the confusion begin by rejecting the very idea of binding tocether word and thing, rejecting the focus on the isolated word. A good book may have the power to change the way we see the world, but a great book actually becomes part of our daily consciousness, pervading our thinking to the point that we take it for granted, and we forget how provocative and challenging its ideas once were - and still are. The Structure of Scientific Revolutions is that kind of book. When it was first published in 1962, it was a landmark event in the history and philosophy of science. Fifty years later, it still has many lessons to teach. 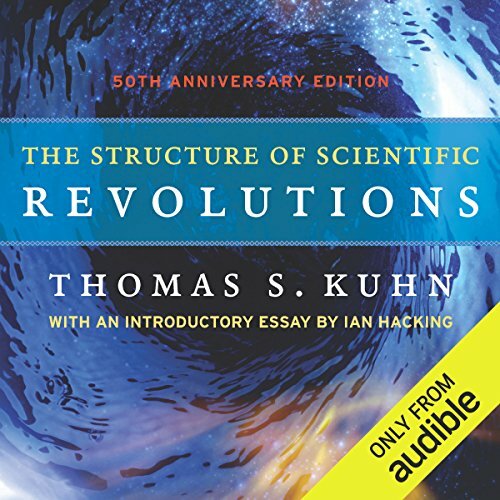 With The Structure of Scientific Revolutions, Kuhn challenged long-standing linear notions of scientific progress, arguing that transformative ideas don't arise from the day-to-day, gradual process of experimentation and data accumulation but that the revolutions in science, those breakthrough moments that disrupt accepted thinking and offer unanticipated ideas, occur outside of "normal science", as he called it. Though Kuhn was writing when physics ruled the sciences, his ideas on how scientific revolutions bring order to the anomalies that amass over time in research experiments are still instructive in our biotech age. Note: This new edition of Kuhn's essential work in the history of science includes an insightful introduction by Ian Hacking, which clarifies terms popularized by Kuhn, including paradigm and incommensurability, and applies Kuhn's ideas to the science of today. 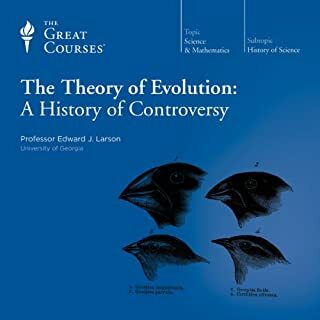 ©1996 The University of Chicago (P)2009 Audible, Inc.
Thomas Kuhn's famous "Structure of Scientific Revolutions", today taken as classical text about the history of Science, is of amazing importance to understanding of the evolution of science. Kuhn was the first who elucidated the concept of PARADIGM in a relation to science. Paradigm, which we should understand as a pattern of thought - rather than a theory or model, is the pervasive component of almost any human intellectual activity. Kuhn proves that the evolution in science goes in a revolutionary way, by a process called "paradigm shift" which is usually abrupt and fast. One of the symptoms of the paradigm shift is the process of textbook rewriting - when the change appears to be unavoidable and untenable to the previous paradigm. Kuhn describes Copernican revolution, progress in chemistry, Newtonian physics, quantum mechanics and Einstein's theory or relativity as the key examples illustrating his concept. Very good book - should not be too difficult to read even to those who did not practice science. I think, there is also another reason to read it. And, when we recall that the HTML was created in 1980, and HTTP in 1989 - we see that initially the old paradigm of communication was still prevailing. Until Netscape came with its killing application - the browser - and made the shift. And I'm almost sure we are at the footsteps of another paradigm shift - that between today's web of documents and tomorrow's web of data (aka Semantic Web). Kuhn's book teaches us that it is not very easy to predict when will it happen, and that we probably will witness some dramatic changes. It also explains the latency with SW adoption. an excellent reading of an excellent book. wow. the information is timeless because the way humans think and process information are constant. Kuhn has captured the essence of the (complex) process by which we think, test, and alter what we think we know. I'm not quite sure what the others are talking about. The reader was adequate. He certainly wasn't superbly engaging, but neither was he so horrible as to make the book unlistenable. I was quite able to at least get the idea after a single listening, and so I don't think this is a bad format for less strenuous digestion of "Structure." Indeed, if you listen to it many times it might serve to totally replace the book. Perhaps it is right to say that academic books usually reward slow readings and re-readings while stopping occasionally to consider what's being said or what has been said. The pause and reverse buttons can facilitate some of this with an audio book, but obviously this type of digestion of a work is more suited to reading than to listening. However, for a first time read-through this audio book will more than serve. This is one of the more historically important books in philosophy and science. It is too bad the audible version has the reader speak in a way that is quite artificial. This radically reduces the ability to attend to the material in a way that is needed to effectively appreciate Kuhn's work. Let us hope for a new recording where the reader does not rove up and down so drastically with intonation or utilize unnecessary pauses where one could continue the stream of thought. I think this is a fine example of when a classic is lost to the limits of understanding of the folks replicating it. All the same, it is great to have it available at all considering the age of the book. 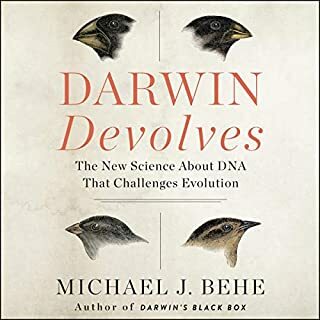 I commend audible for offering it, even in its "hard to listen to" state, and I highly recommend more scientific reads! Great book but a hard listen. Would you consider the audio edition of The Structure of Scientific Revolutions to be better than the print version? Probably not. I found the audio jam packed with thought provoking and new ideas. I tend to listen to audios on my way to work and this was definitely something I need to sit down, study and carefully read each paragraph. They were complicated concepts that require careful consideration. No. Spaced out between thoughts. Though there are plenty of big words and parts of it are hard to follow, i still got a lot out of it. Its not the kind of book i could listen to while I worked, I needed to give it full attention. This kind of book is why I love audible so much. I never would have read it let alone understand it if it weren't for being on audible. The book is written at such a level that anyone can follow what he's trying to say. I never would have realized that if I were reading the book on my own. (God bless Audible and it's great library of books!). By listening to the reader (Dennis Holland) it becomes obvious the writer (Kuhn) was writing the essay as to be accessible to all levels of readers (listeners). The reader gave it the simple presentation the author was striving to give. The two previous books I had been listening to, '13 Things That Don't Make Sense" and "Too Big to Know", both referenced this book extensively so I thought I'd give it a try. Usually, primary sources are hard for me to follow, but this book was not. At its core the book is still a philosophy book and doesn't flow as well as most of the popular science books that I read do. This is an important book. And it is hard to read on paper. It is even harder to absorb in audio. I think all scientists should read this book. But it takes a lot of focused attention no matter how you do it. and highly worth listening to. certainly worthwhile to listen more than one time. Kuhn's concept is one of the basics of modern time scientific approaches. This is a very insightful book. Thomas Kuhn delivered an intelligent account about how the sciences develop. More precisely, development by disruption and not by acumulation. Listening to this essay, one can reflect about the idea of progress. It seems that the sciences advance with rejection of old paradigms and creation of new ones, the last don't necessarily linked with the formers. Can we say the same thing about the development of humanities? 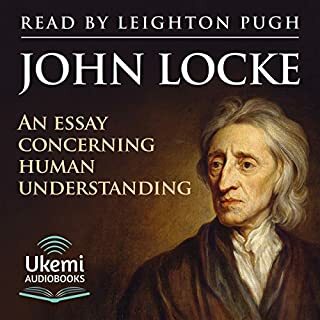 The narration is fair and the audiobook is from a book edition that have a foreword by the author, in which he answers some criticism the original version received. This is a work which is often quoted, but probably less often read and understood. It introduced the term "paradigm shift" to our conceptual world, and was instrumental in shaping contemporary philosophy of science. However, I feel it is overdue a return to prominence. I want current scientistic positivists (for example, Richard Dawkins) to read and deeply consider this essay. Its subtleties and cultural relevance have perhaps been forgotten of late. This is a work which might be challenging for those unfamiliar with scientific or philosophical writing. I feel that the narrator doesn't understand what he is reading, and this can be very distracting in a work that is complex and involved. 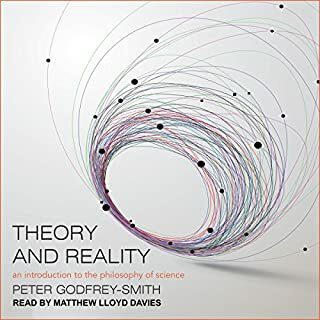 However, there is so little primary philosophical literature available as unabridged audiobook, especially from the 20th and 21st centuries, that we just have to take what we can get. A must-read for anyone interested in philosophy or history of science. Good quality but where is ch6? Good sound quality and reading speed and kuhn has produced a madterpiece- an essential book for philosophers and scientists. However quick check has revealed ch5 onwards are mislabelled they're all one CH ahead!! If you like heavy humanities papers, you'll love this. Otherwise you may find the humantities-paper tone unbearable. Very interesting view on the scientific revolutions and paradigms. 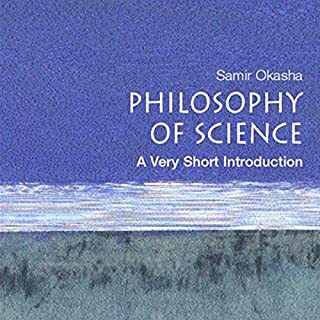 I found it a little wordy at times and therefore a little hard to follow but overall I enjoyed this book and would recommend it to anyone who has an interest in science and philosophy. Any new idea will have it's detractors. The first step of a greater understanding begins with a revolutionary view as it pertains to older concepts, less suited to a display of how the world really is. It is then somewhat ironic, or perhaps intentional, that this work both describes and is a part of a process that seeks to fundamentally transform the nature of understanding. Maybe I don't agree with every point made and maybe neither will you, but I beseech you to consider what is contained in here as a fundamental first step on seeing science, not simply as a Popperian progression of falsifiability, but as a consideration of the real and historical activity of science and it's philosophy.